Every once in awhile we come across a story that warms our hearts highlighting how kind and generous people are and how powerful we can be as a community making a positive difference when we come together for good to help others in need, and we just simply need to share it. The Ceres Community Project in Sebastopol is an inspiring organization that is making people’s lives better by providing healthy and nutritious meals, and a stunning example of a community at its very best. Their cookbook, Nourishing Connections Cookbook, “is the inspiring story of a how a community gathered its resources to creatively address a multitude of needs. The Ceres Community Project provides 40,000 beautiful, delicious and nourishing free meals each year to individuals and families living with a life-threatening illness such as cancer. The program’s chefs are hundreds of teens from more than eighteen local schools. The young chefs gain culinary and leadership skills, knowledge, and the inspiration to make cooking and eating whole foods a part of their life. 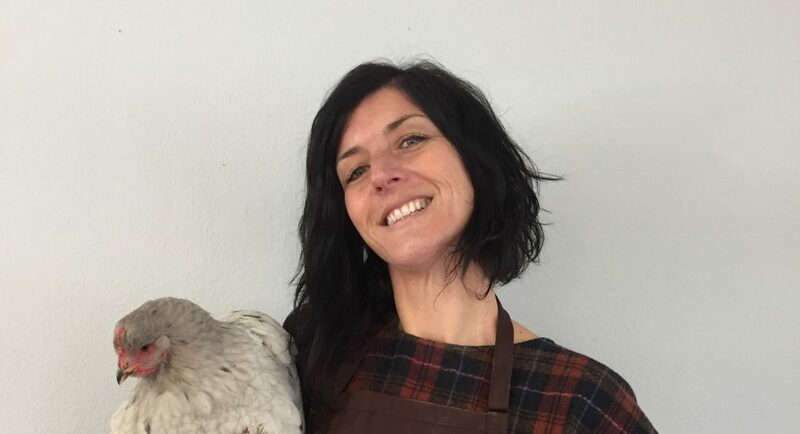 While I’m sure that organic, free range chicken is a staple in many of the recipes found in the Nurishing Connections Cookbook, perhaps even more importantly the love of an entire community is sprinkled on each and every page. Bravo Ceres Community Project, and thank you for making such a spectacular and lasting difference in our beloved hometown of Sebastopol. Listen to Teen Chef Shelby talk about what the Ceres Community Project means to her. Categories: Pour l'Amour de Poulet | Tags: Ceres Community Project, Nourishing Connections Cookbook, nutrition and healing for cancer patients | Permalink.